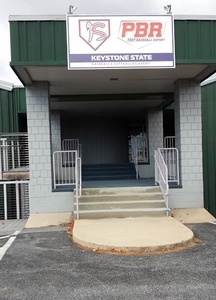 The hallmark of the Keystone State Baseball & Softball Academy is our state of the art Arena Field that allows for a host of activities including team practices and game play with bases set at a full 90 feet. The professionally lit artificial turf surface is the ideal location for camps, clinics and showcases with dugouts for participants as well as bleacher seating for scouts, parents and fans. 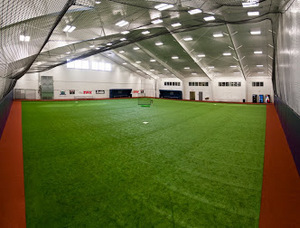 The Arena field is available for rental when not being utlized by college teams, high school teams, our Bombers travel teams or for Academy programming. 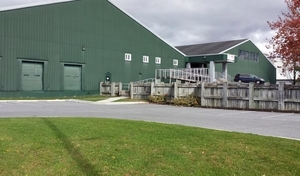 Prep Baseball Report moved their Pennsylvania offices to Keystone State Baseball & Softball Academy in October of 2014 largely because of the ammenities that the Arena Field offers for indoor events hosted by PBR. CLICK HERE to view rental pricing and schedule availability for the Arena Field section of the Academy.